Absalom Reserve, in the Lighthouse residential area, is the group's newest project commenced in September 2009. This project site is another within a catchment area that has been degraded over the years due to the urban expansion. Subsequently, pressure has been put on the storm water drains and the adjacent bushland. The Landcare project will address several environmental issues including: invading weeds, soil erosion, and the fragmentation of the former riparian zone. Urban planning in the Port Macquarie area has allowed for these wonderful green spaces to be created as the residential subdivisions move into areas of native bushland. However, these strips of vegetation do suffer from effects of human impacts - introduction of exotic plant species, litter, altered / reduced natural water runoff, water pollution, etc. 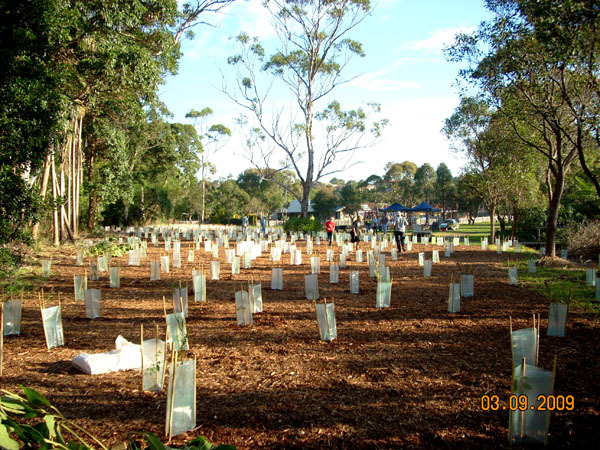 Vegetation restoration is a main focus of Port Macquarie Landcare. At Absalom Reserve this will involve transforming a large previously mown area into bushland. This will widen the current stand of mature bushland, and hopefully protect it from being infested by weeds (as happens so often with long narrow strips). The drainage lines will be heavily replanted in a bid to control soil erosion along the creek lines. This also creates a band of vegetation that can be utilized as a wildlife corridor. Wildlife habitat is a major beneficiary of the proposed mass plantings. 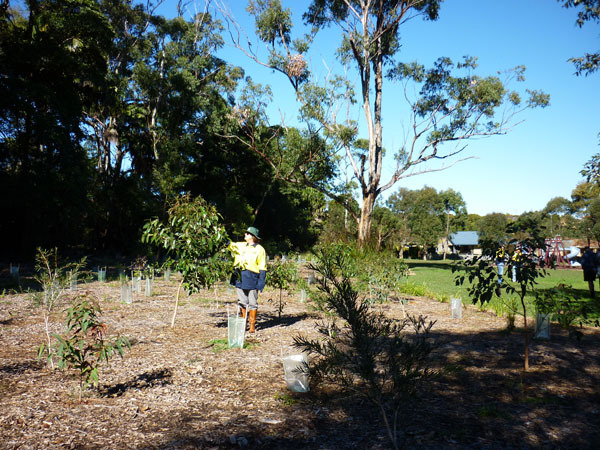 All of the native plants are well suited to the reserve, and have been grown from local seed or cuttings at the Port Macquarie Landcare Community Nursery. The selection of trees, shrubs and grasses will re-establish a natural environment for local fauna - including koalas, birds, reptiles and frogs. This reserve reached ecological maintenance in December 2012 and has been returned to the Council Natural Resources Section's Bush Regeneration Team for ongoing maintenance.